What is a weekend without a bit of action and adventure? The only thing better than a jam-packed weekend full of exciting plans is one without any plan at all. With incredible advances to home technology, binge-watching or trying out that new game console is now smarter and more efficient than ever. Adventure is right at the tip of your fingers as the Sony BRAVIA 4K TVs take you to a TV viewing experience in a whole new way. 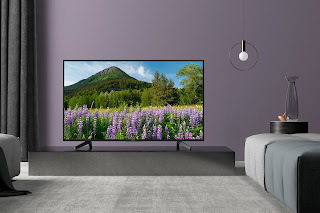 Just imagine its top-of-the-line picture quality, sleek design, its powerful sound technology, and advanced Android TV function. You just can’t help but be ready, get set, and binge. Watching movies and series are one of the biggest entertainment sources for anyone looking for amusement. 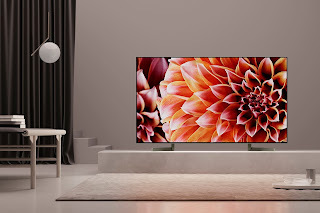 Get inside the realms of your favorite movie or series as the future of picture quality with the ultimate brilliance of 4K clarity brings you into its world and transcends reality. With a well-built sound system that plunges you right into the action, your binge-watching tendencies will never be the same again, as the BRAVIA TVs elevate your cinematic experience. With you on the best seat in the house, you can dedicate a blissful time of your weekend to simply sit back, relax and enjoy the show.